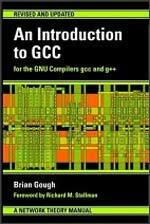 Many books teach the C and C++ languages, this book teaches you how to use the compiler itself. All the common problems and error messages encountered by new users of GCC are carefully explained, with numerous easy-to-follow "Hello World" examples. Topics covered include: compiling C and C++ programs using header files and libraries, warning options, use of the preprocessor, static and dynamic linking, debugging, optimization, platform-specific options, profiling and coverage testing, paths and environment variables, and the C++ standard library and templates.